"Don't miss this gem of a movie"...-DAILY MAIL. Gowan McGland writes poetry when he's soberand sleeps in his old tweed suit when he's drunk. But Gowan has that irresistible charm that ensures he seldom sleeps alone! He makes his living talking about his work on the American lecture circuit and seducing the rich housewives who invite him into their houses, and into their beds. When he meets beautiful young girl and falls in love, Gowan is full of renewed hope, but fate has a nasty trick in store. 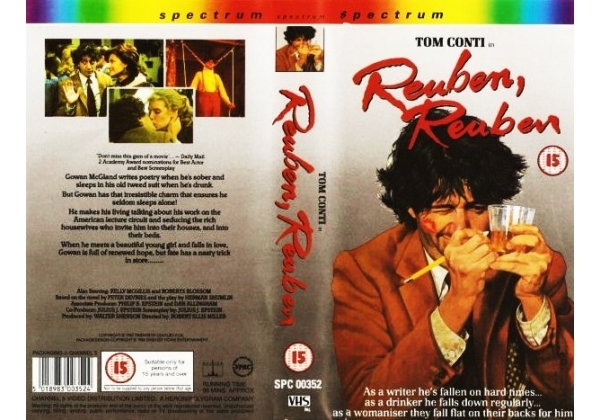 . .
Or find "Reuben, Reuben" on VHS and DVD / BluRay at Amazon.